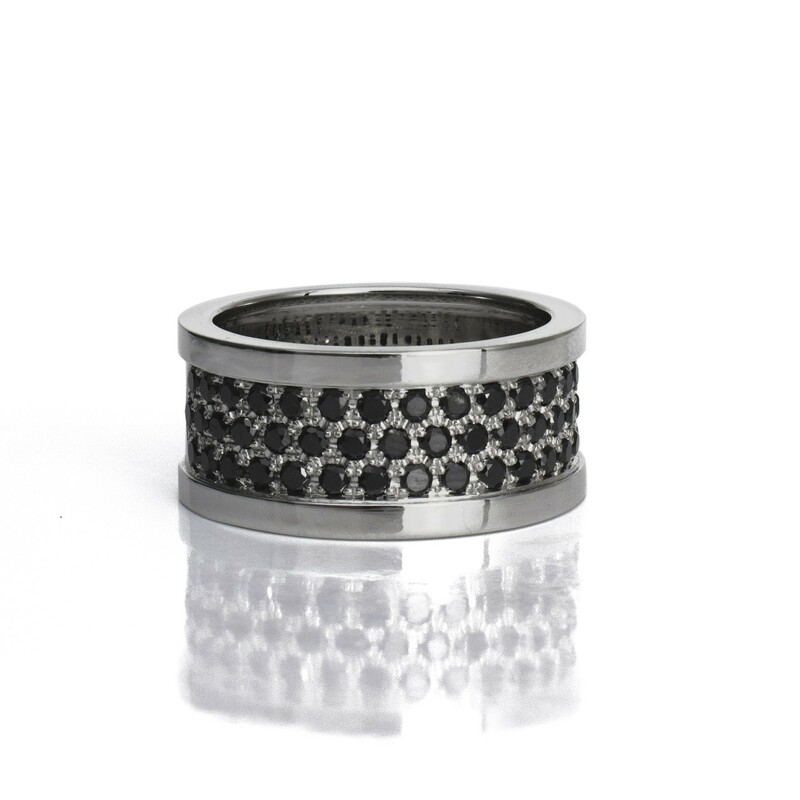 Three rows of black diamonds elevate this wide ring to statement status! 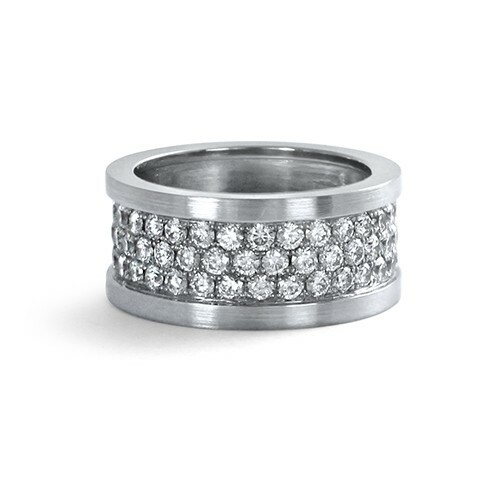 Our CAD Manager Zach picked this ring as one of his "Studio1098 Staff Picks" for the holidays. Zach noted that "This ring is a bold, retro look for people who like eye-catching jewellery. It really makes an impact!" You may be wondering what black diamonds are and how they compare to white diamonds. 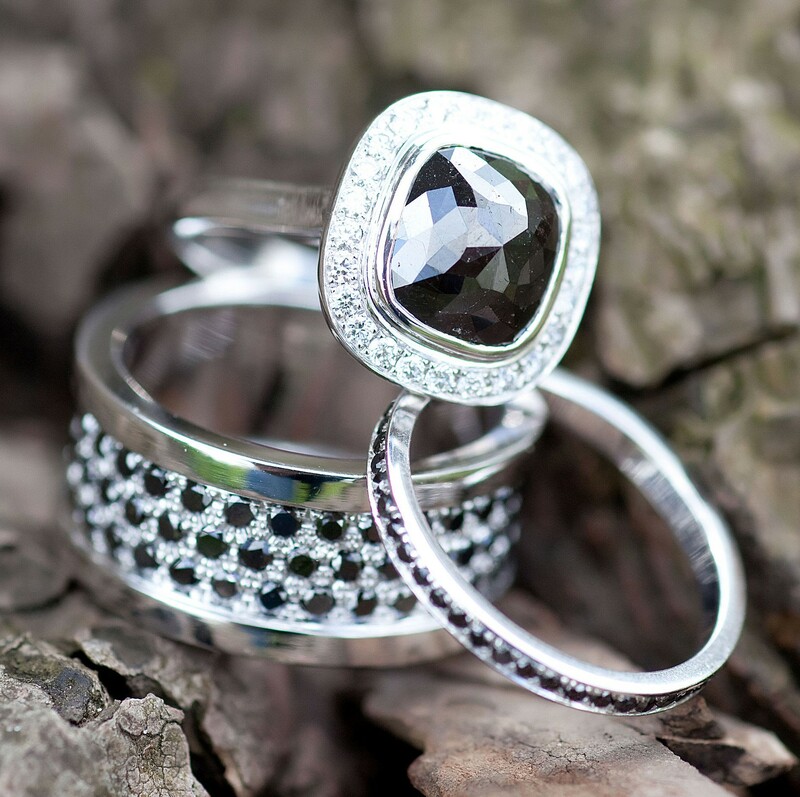 Black diamonds typically get their colour from lots of tiny black inclusions in the stone. They are often treated in a permanent and stable way to enhance the black colour and are usually completely opaque with a high surface lustre that makes them look almost metallic. Black diamonds are actually quite tricky to cut because they often have cracks and inclusions that create complications for cutters and polishers. These same features also mean that great care must be taken during the setting process. We love working with black diamonds at Studio1098. They have a rock n' roll meets art deco kind of feel that lends itself to interesting and surprisingly versatile designs. So, if you're interested in black diamonds, don't hesitate to shoot us a line. We'd love to work with you!